Random House New York, 1996. 7 Maps. 809 Pages. 16 x 24cms. good in D/W. A definitive account of the Battle of the Atlantic with the benefit of release of Official Records in London & Washington using the official code-breaking & U-Boat records. 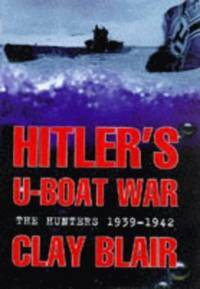 The author shows many previous accounts were incomplete and prone to error givingthe entirely wrong impression that the Germans came very near to defeating the Allies in the Battle of the Atlantic. 14 Tables. 18 appendices. Index..